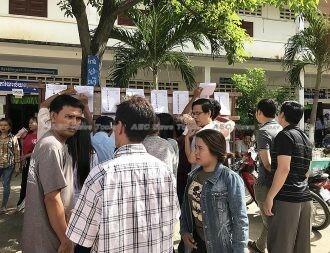 The future of Cambodia’s political landscape is unclear this evening with the country’s National Electoral Commission (NEC) claiming some 82.17 per cent of eligible Khmer voters rejected a call to boycott today’s national election, with the ruling party claiming a boost of 47 per cent. Rather than staying at home as suggested by members of the deregistered Cambodia National People’s Party (CNRP) who promoted a ‘clean finger’ campaign, the NEC claims some 6.8 million Khmer exercised their ability to vote, slightly more than the 6.73 million recorded for the 2013 Cambodia general election. 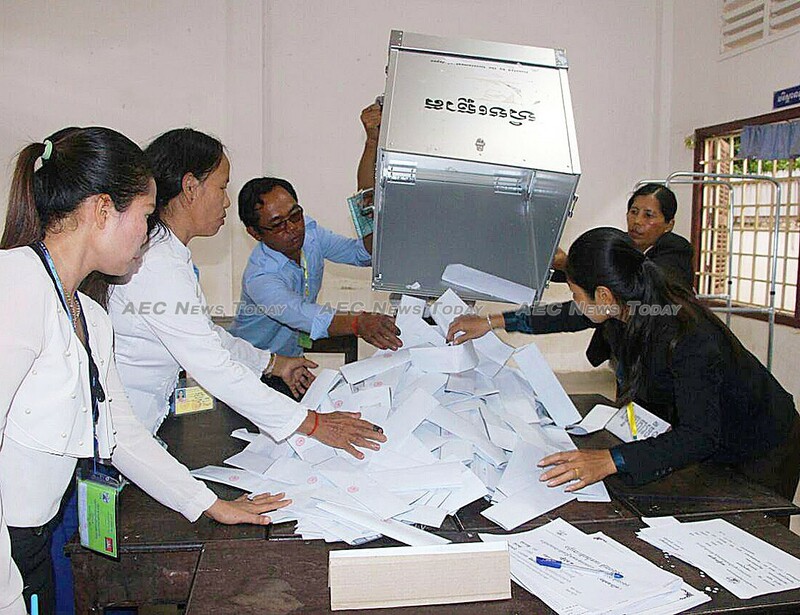 In 2013 the CPP won 68 of 123 available seats with the CNRP winning 55. 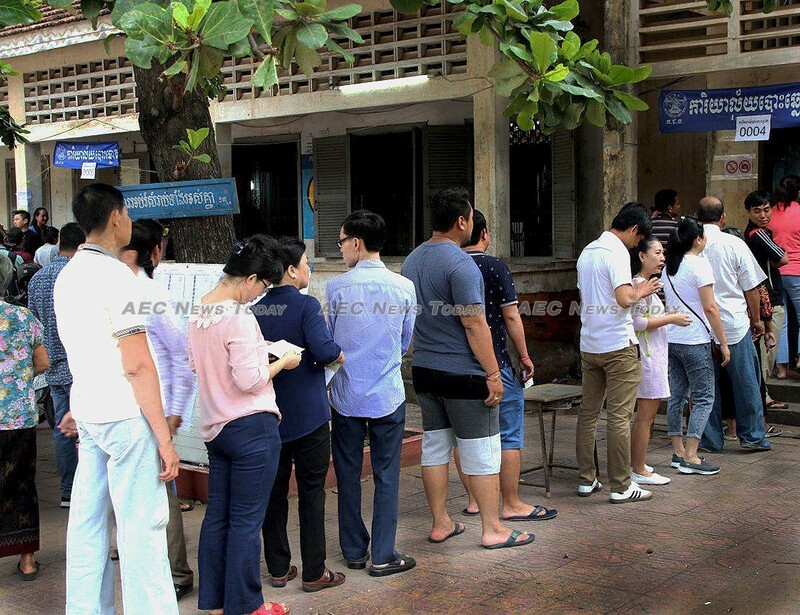 If Mr Sok’s claims are supported by NEC counting the CPP will have seen its presence in the Cambodia Parliament increase by 45.45 per cent — from 55.28 per cent of available seats to 80 per cent. 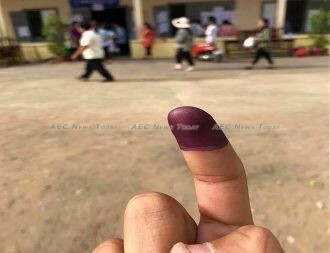 With 55 seats in the parliament prior to its deregistration last year the CNRP held 44.27 per cent of total available seats. The figure would signify the almost total obliteration of any descenting voice in the Cambodia Parliament over the next five years, with details of who will occupy the remaining 25 seats to be announced over the coming days. 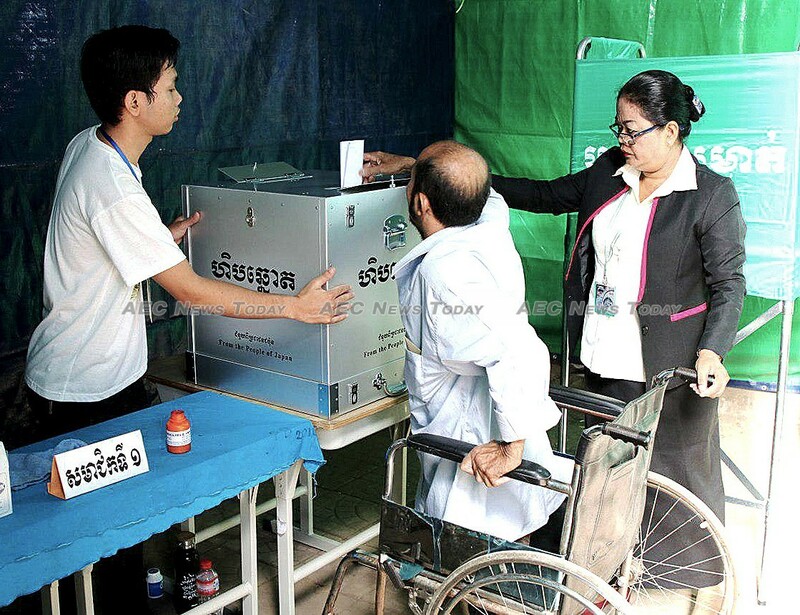 Labelled not free or fare by a wide variety of human rights and political commentators even prior to be held due to the exclusion of the CNRP, the turnout figure claimed by the NEC is being disputed on Cambodian social networks with people commenting on how quiet polling stations appeared throughout the country. In the absence of any proof otherwise the call by the CNRP to boycott the 2018 Cambodia general elections appears to have been a failure. 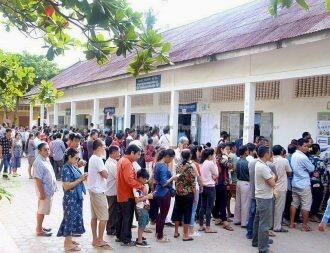 The request too much to ask of people living in a country where few rights exist. 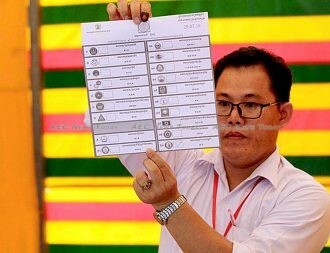 At the end of the day the record books will show that on July 29, 2018 the Kingdom of Cambodia held a general election at which 82.17 per cent of the eligible electorate participated resulting in a majority of the population throwing their support behind the incumbent prime minister. 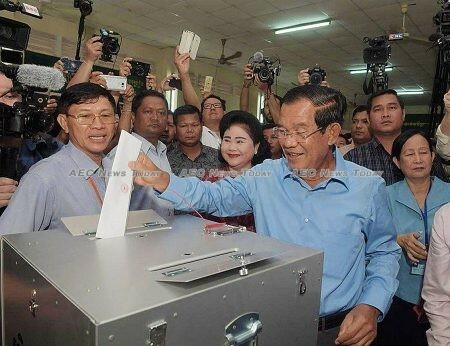 The call by the CNRP was simple. 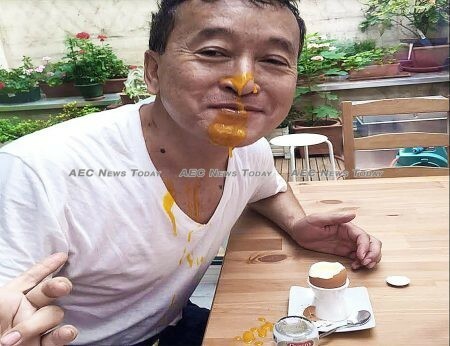 The logic questionable. Remove the 44 per cent of votes that the CNRP drew at the 2013 Cambodia general election from the pool to highlight that its exclusion from this year’s general election made the process unfair and not free. If implemented fully it would have pulled some three million people out of the election. 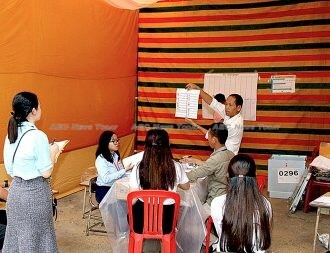 With almost half the electorate sitting at home the risk of incumbent Prime Minister Hun Sen being returned with a ridiculously high percentage of the vote — such as in Kenya last year where a presidential election rerun saw incumbent Uhuru Kenyatta re-elected with 98.3 per cent of the vote — was very real. In the lead up to the election numerous media reports documented the carrot and stick methods of the government to ensure a high voter turn-out. 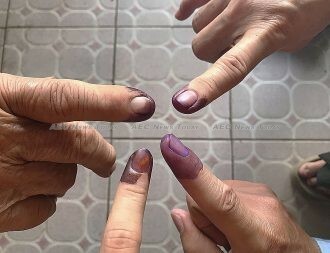 Employers were instructed to give workers three days of paid leave to return to their home province to vote, while also pressured to tell employees that if they returned without inked fingers that they would not be paid for the time away. While the inked finger indicates that the person attended a polling station, had their named marked off the electoral list, and deposited a ballot paper in a ballot box, it is no indicator of whether their vote was valid or not. Anecdotal evidence suggests that while turn-out for the 2018 Cambodia general election was almost nine per cent less than the 2017 commune elections last year, the number of spoiled or informal ballots may be high. Last June the now defunct The Cambodia Daily cited a Fresh News story claiming that some 133,484 or about 1.88 per cent of the 7.107 million votes cast in the 2017 commune elections were spoiled. 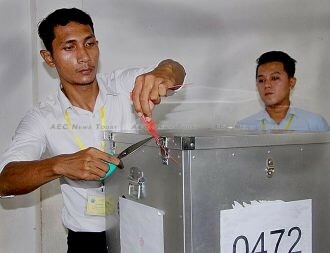 Additional voter turnout figures and other information will become available for scrutiny tomorrow. In the meantime the man who backed his political career on a clean finger campaign would appear to be left with egg on his face, with Cambodia set for five more years of the same.